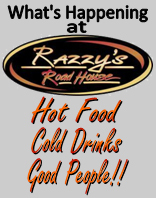 The year-end meeting for the Razzy's Junior Hockey League is scheduled for Tuesday, April 9th at 6pm in room 212 at the House of Sport (Holland College Royalty Centre) at 40 Enman Crescent. All teams must be represented as well as any potential new teams. Agenda items should be forwarded to Jared Doucette at doucettejared@gmail.com. 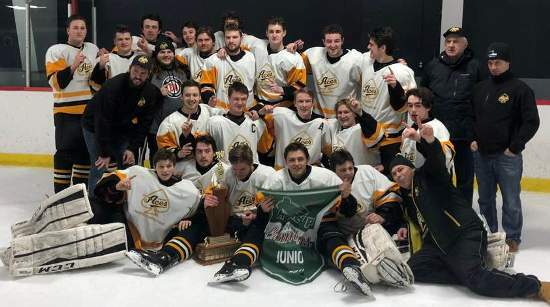 Drake Smallman had a hat-trick and Colin Gaudette recorded a 25-save shutout as the Tignish Perry's Construction Aces clinched the Island Championship with a 6-0 win on Monday night at Cody Banks Arena. The win was the Aces first Island title since 2013-14. The Aces will go on to represent PEI at the Maritime-Hockey North Junior C Hockey Championships in Woodstock, NB March 27 - 31st. You can follow along with their progress at www.MHNJrC.com.